This is an exciting time of the year when the radiology department has a chance to welcome the new residents. This group offers new energy and talent as they begin the process of becoming radiologists. 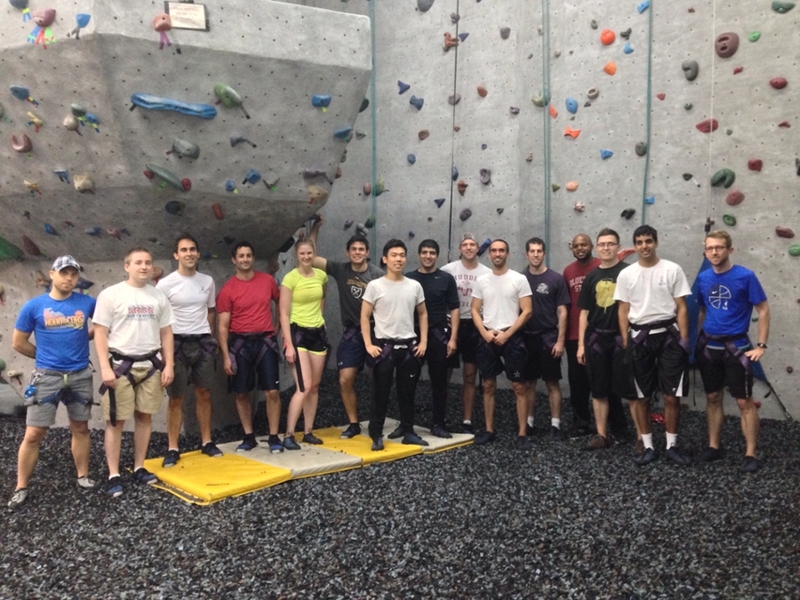 This year the new residents did some team building at AtlantaRocks! After a long week of new faces, new places, and many hours of lectures, the incoming first year class finished off orientation week with a rocky social experiment. If being thrown into a dark room and told to read was not scary enough; they first had to jump off rock faces, climb blindfolded and tether themselves to one another as they scaled indoor cliffs. What first seemed like a daunting endeavor, proved to be a team building and relationship forming experience. Not surprisingly, climbing a rock wall blindfolded not only enhances one's appreciation for their most precious sense as radiologist but also, for the class of 2019, it was the first step towards building long lasting friendships and class camaraderie. Click here to see the 2015 Radiology Residents.